OK, it gets dark at 4.00pm and it’s cold, wet and miserable. You’ve been avoiding evening viewings for this very reason – but you could be wrong. 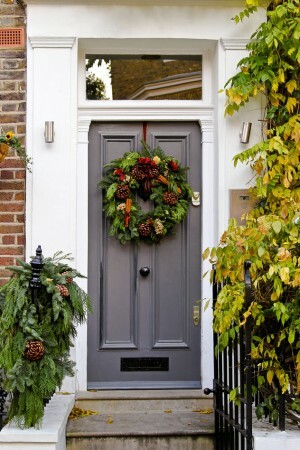 Everyone loves the run-up to Christmas because of the lights – on doors, in windows, on trees and bushes. Christmas lights look welcoming and beautiful and inspire people to see your house as a home where they will spend many happy festive times. One word of warning, though – keep those lights subtle. White or cream lights are by far the best. You do not want dazzling, blinking “Santa Stop Here” displays all over your roof. Go for understated and classy, as no-one can object to that, regardless of their own personal taste. If you’ve got a viewing and it’s dark, open your curtains and have a (subtle) light in the window, or let people see into your living room, where there’s a tastefully decorated tree. Make them want to come in, and when they do enter, be making some cranberry sauce, or authentic Finnish gingerbread, or spiced hot chocolate. The sense of smell influences people much more than you think and it’s associations like these that may make someone fall in love with your house. If you live in a new house or flat, opt for modern, maybe even minimalist Christmas decorations. If, on the other hand, you live in an older or even period property, you can get away with going a bit retro, with garlands on the fireplace and banisters and so on. Find out who’s coming to see your house and maybe take away or add some decorations according to who they are. If it’s a young couple with children, maybe pass on some gingerbread to them; an older couple might appreciate the cranberry sauce.